Similar to the basic studio, this style has practical advantages like a spacious floor area, energy efficiency and a sloped roof design that allows it to blend in with all types of houses. An ideal addition to any home, the hip studio conservatory can be used as a dining area, recreation room, study, art studio and much more. 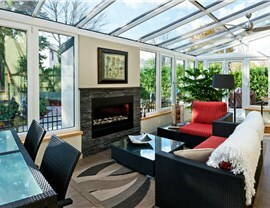 The possibilities are endless when you choose a custom solution from Perrysburg Patio & Sunroom. For years, our experienced and well-trained staff has been installing hip studio conservatories across Toledo. They put the same care and attention to detail in every project they work on, satisfying people all over the area with stellar solutions. 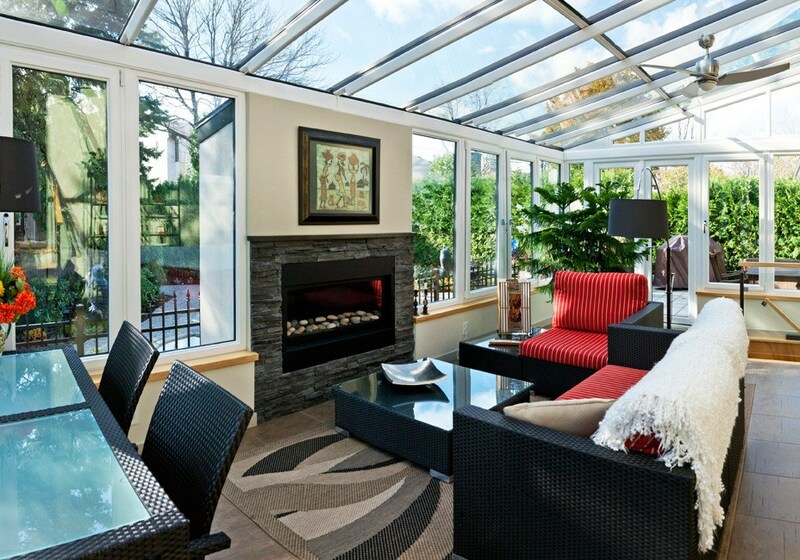 Using the top-of-the-line products we’re given as a dealer for Living Space Sunrooms, we will construct a structure that is durable, energy efficient and gorgeous. Feel closer to nature from the comfort of your own home by installing a hip studio conservatory today! Let us build you the hip studio conservatory you’ve always wanted. Using Celsius glass and a long list of other top-tier materials, we’ll craft you a home addition you can enjoy all year round; even in the most severe weather conditions. Call Perrysburg Patio & Sunroom or fill out our online form to schedule your free consultation today!